Are you a budding photographer that is just getting started? If so, then you probably could use all the help you can get. The world of photography can be an exciting but difficult place to navigate. So, having some tools that can help make things easier is very important. Today, we are going to learn more about five must have online tools that every photographer should be using. Each of these tools will be helpful in different ways. One of the most powerful online tools that any professional photographer could use is a photo retouching app. These apps will not only make your photos look clearer, they will also allow you to remove blemishes, resize the body, get rid of fat folds and much more! These apps are amazing and will let you offer your clients something different. Many people today wish to have their photos professionally altered and these apps can help you do just that. So, make sure that you download one of these apps and learn how to use it. 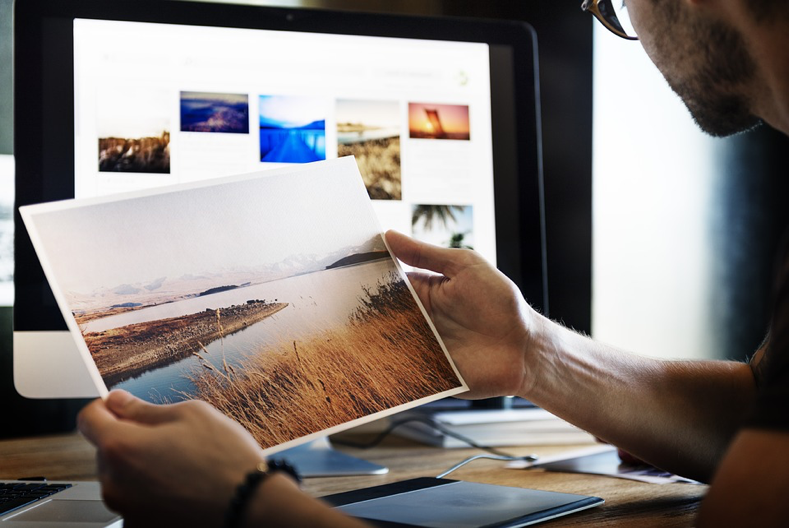 In order to showcase your work and show it off to potential clients, you are going to need an online portfolio. There are many of them out there so finding one that meets your needs won’t be difficult. While you can choose to go with a free portfolio, it’s advisable that you choose one that offers a monthly service. By paying a monthly fee, you will gain access to more features, have a larger storage capacity and most importantly, you will get rid of any ads. One online portfolio site that is gaining in popularity is Carbonmade. This portfolio tool will let you show off your best work and keep it safe in their secured server. Many people today pretty much do everything on their mobile device. While most people use their computers to view their photos, there is a growing number of people that use their tablets and smartphones. So, it would be great if you could provide your clients with a mobile gallery that will give them access while on the go. StickyAlbums will allow you to do just that! No matter what type of smart device your client has, this app will let them store their pictures and more. This mobile gallery app will also allow clients to share photos directly on social media. Your clients will love this easy to use gallery and it will keep all of their photos safe. Each gallery that your client sets up will be protected by a password which is very important to their privacy. As a professional photographer, you will need to market your work online and on social media. By sharing your photos with the world, you will attract more customers. But if you are busy taking photos, you probably don’t have much time to spend on marketing or sharing. So why not automate your social media sharing with Buffer? Buffer will allow you to share by scheduling your tweets and other social media posts. This is the perfect tool for the busy photographer and you can even take some time off, thanks to this simple to use amazing app! Besides, Discover similar other amazing apps at Photo Aspects. Once you hone your photography skills and people start to notice your work, you will probably be very busy. A good photographer is always busy with photo shoots and client meetings among other things. Staying organized will be a real challenge, so you will need some help in this area. Instead of lugging around a large appointment book, why not schedule your appointments online? There are several scheduling apps on the market that will help you keep up with your daily routine. This will help you be on time and never miss an important meeting ever again. One scheduling app that many people use is Setmore. This app will not only allow you to schedule appointments but it will also let you add other staff members to your account. So, if you have employees, you can keep up with their schedules as well. This will help keep your photography company running like a well-oiled machine. These are just a few online tools that you can use to make your job easier. If you are a professional photographer, you already know how busy life can be. So why not check out these apps and see if they are right for you? You just might be really impressed with all they have to offer.